Give Me Liberty was one of Frank Miller’s two creator-owned (the other was Hard Boiled) titles he took to Dark Horse after deciding to stop working for DC Comics after a dispute over a proposed ratings system. The story is set in a dystopian near-future where the United States have split into several extremist factions, and tells the story of Martha Washington, a young American girl from a public housing project called “The Green” (see Chicago‘s Cabrini–Green). The series starts with Martha’s birth and sees her slowly grow up from someone struggling to break free of the public housing project, to being a war hero and major figure in deciding the fate of the United States. The series was a mix of Miller’s typical action sequences as well as being a political satire of the United States and its major corporations. The series proved to be a huge success for Dark Horse and was one of the biggest selling independent comics of the time. A trade paperback was later released and Miller followed up Give Me Liberty with several sequels continuing the story. All of these sequels were drawn by Dave Gibbons and published by Dark Horse. The TMNT are onboard a blimp, traveling to Central America after a devastating storm has crippled much of North and South America. The Turtles are accompanying Colonel Blade, who is using the dirigible to bring relief supplies to those affected by the storm. Upon landing and unloading, Blade receives new instructions from the local ambassador: he’s to travel to the Abecero Penninsula and restore contact with a missing research team. Joining the Colonel and the Turtles on the mission will be archaeologist Professor Daub. Meanwhile, back in the USA in the secret headquarters of the Mystery Men, the team of unsual heroes (Flamng Carrot, Bondoman, The Shovelor, Mystic Hand, Star Shark, The Zeke’s, the Spleen, Screwball and Mr. Furious) is called into action to find the same research team that the TMNT and Blade are seeking. Hellboy: The Wild Hunt limited series was originally released from December 2008 through November 2009 , also numbered (on the inside front cover) as issues 37 through 44 of the continuing Hellboy series. The storyline delves into Irish and Arthurian legend, reprising several characters first introduced in Hellboy short story “The Corpse”. As with Hellboy stories generally, it was published by Dark Horse Comics. This will be, in part, the basis for the 2019 Hellboy reboot directed by Neil Marshall. Part of the Star Wars Expanded Universe, the trilogy follows events in the Star Wars franchise years after Return of the Jedi, specifically the aftereffects of Timothy Zahn‘s Thrawn trilogy. The story deals with the return of the villainous Palpatine, having successfully cheated death by having his spiritual entity “reincarnated” through the essence transfer ritual and cloning technology. Other themes include Luke Skywalker temporarily succumbing to the dark side of the Force, the official return of Boba Fett (who had seemingly died after being swallowed by the Sarlacc in Return of the Jedi), and the first appearance of Princess Leia and Han Solo‘s son, Anakin Solo. The Terminator: Secondary Objectives is a four issue comic series set after the The Terminator. Secondary Objectives is the second part of four. 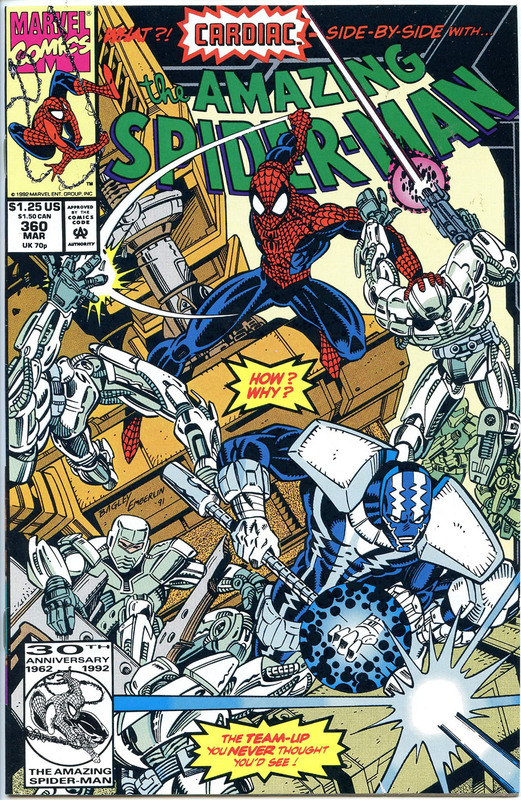 The series was published in July 1991 by Dark Horse Comics. After the first attack on Sarah Connor, she has fled out in the desert near Mexico City. Later in 1984, another terminator switches to its secondary mission, to track down and terminate the now pregnant Sarah Connor. Another terminator arrives to assume the primary mission of protecting the genesis of Skynet. But help is coming; Mary, Ed Astin and I825.M, a re-patriated terminator hybrid cyborg. The series was written by James Robinson, pencilled by Paul Gulacy (who also did the cover art) and inked by Karl Kesel. Predator: Big Game was written by John Arcudi, illustrated by Evan Dorkin, inked by Armando Gil, colored by Julia Lacquement, lettered by Kurt Hathaway and edited by Diana Schutz, with cover art by Chris Warner. The comic was later adapted as a novel of the same name by Sandy Schofield. Big Game was eventually followed by a direct sequel, Predator: Blood on Two-Witch Mesa, which continued the adventurea of Big Game’s lead character. Boba Fett rockets onto the scene with blasters blazing in this stand-alone story featuring the galaxy’s greatest bounty hunter taking on a dangerous contract that proves deadly for all involved! Summoned to settle the score between two warring factions, Fett quickly shows his employers the importance of always choosing the right tool for the job, and the folly of underestimating just how much damage and chaos a single Mandalorian can inflict. Once unleashed, Fett’s drive to finish the job is unshakable, and both groups quickly realize they’re dealing with a bigger and much deadlier mutual problem—one that must be stopped before it obliterates everything! Dark Horse Presents was the first comic book published by Dark Horse Comics in 1986 and was their flagship title until its September 2000 cancellation. The second incarnation was published on MySpace, running from July 2007 until August 2010. A third incarnation began in April 2011, released in print form once again. Purge is a comic book one-shot released on December 28, 2005 by Dark Horse Comics. The story was written by John Ostrander, and the art was done by Doug Wheatley. The events depicted take place in the Star Wars galaxy approximately one month after the events in Revenge of the Sith. Usagi first appeared in the anthology Albedo Anthropomorphics in 1984, and later in the Fantagraphics Books anthropomorphic anthology Critters, before appearing in his own series in 1987. The Usagi Yojimbo series has been published by three different companies. The first publisher was Fantagraphics (volume one; 38 regular issues, plus one Summer Special and three Color Specials). The second was Mirage Comics (volume two; 16 issues). The third is Dark Horse Comics, by which Usagi Yojimbo is still being published (as volume three, over 160 issues), and who also released a fourth Color Special. A fourth publisher, Radio Comix, published two issues of The Art of Usagi Yojimbo which contained a selection of unpublished drawings, convention sketches, and other miscellaneous Usagi Yojimbo artwork. The first issue also included an original Usagi Yojimbo short story. In 2004, Dark Horse Comics published a Twentieth Anniversary hardcover volume also entitled The Art of Usagi Yojimbo. We have been collecting comics, original art and toys for over 40 years. More than 70% of the items in our collection have had only one owner, resulting in a nice selection of high grade items. Our collection consists of a little bit of everything from the 1940's on up. E-mail us anytime at EHTcomics@gmail.com in regards to items that you are interested in and a Paypal Invoice will be provided via email. We are always adding new items, so stop back often and if you don’t see it, feel free to ask. Check out some of our most popular titles! For a limited time $12. Batman #635 NM Originally $89. For a limited time $79. For a limited time $79.